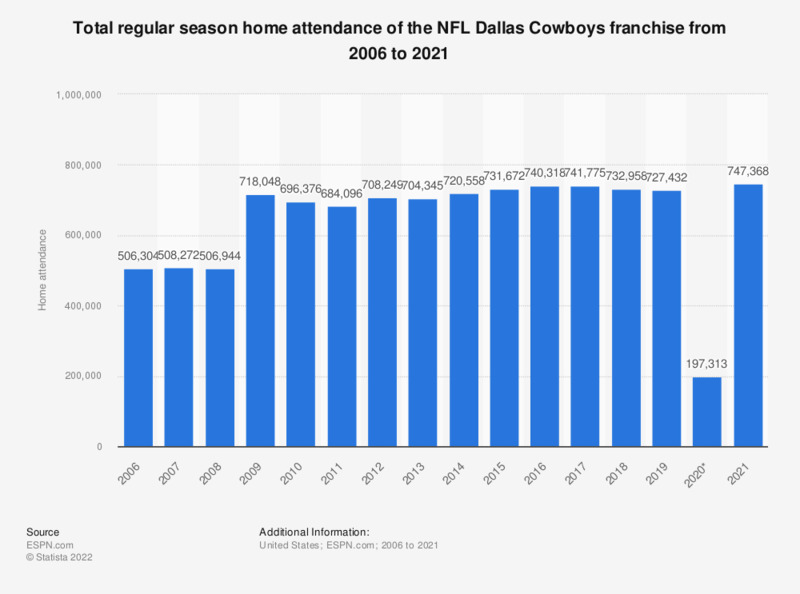 This graph depicts the total regular season home attendance of the Dallas Cowboys franchise of the National Football League from 2006 to 2018. In 2018, the regular season home attendance of the franchise was 732,958. Women: Do you seek out product reviews on wellness/health/fitness online?